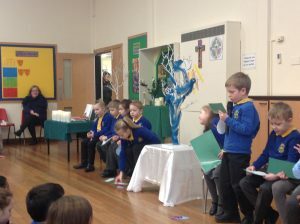 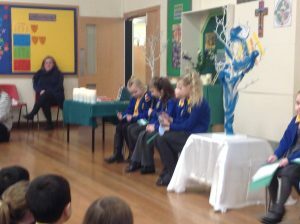 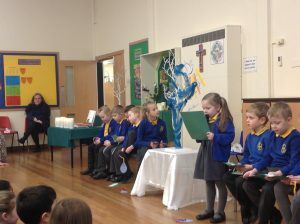 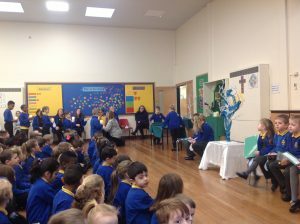 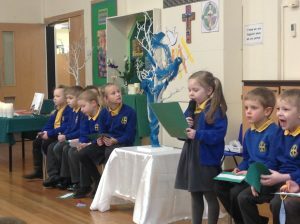 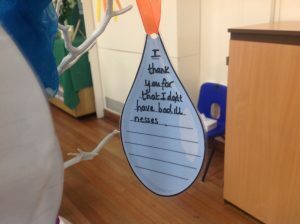 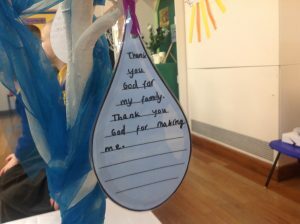 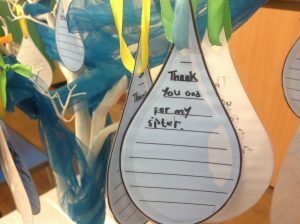 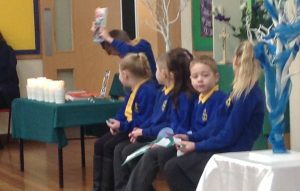 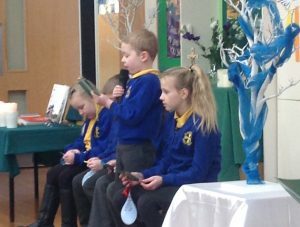 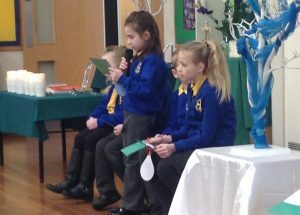 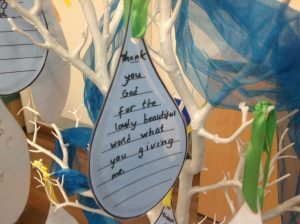 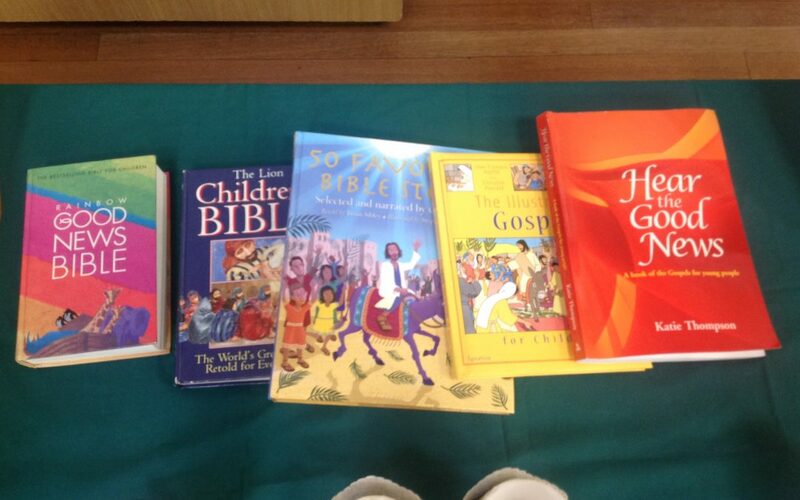 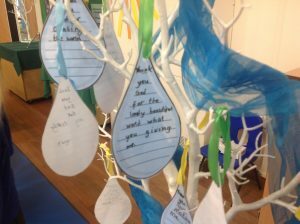 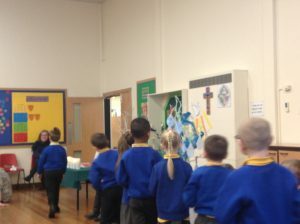 Our Year 2 children shared with us their RE work on books as part of their collective worship. 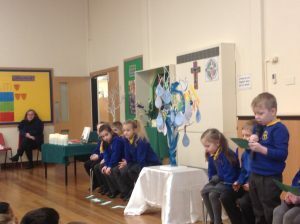 They shared with us a story from the most important book of all, the Bible. 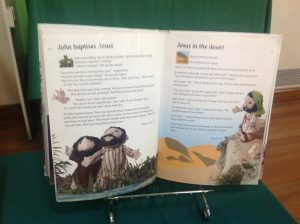 This great book is in two parts – the first part is all about God and his dealings with people, and the second part is about the life of Jesus on earth, and his message of God’s love – which He wants us to share with everyone. 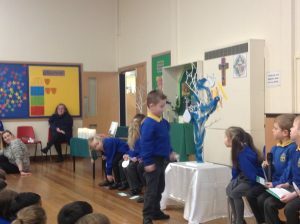 The gospel reading was about John the Baptist baptising Jesus in the River Jordan. 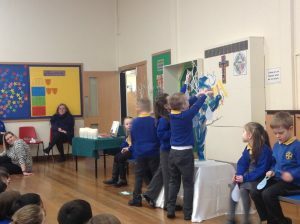 We were asked to look at a painting of the scene as we thought about the blessings that God sends to us all.